Gail Kim’s wedding to air….. The wedding between Gail Kim and Chef Robert Irvine will be airing on August 18th at 10pm. It will show the preperation of the wedding – in which Irvine said he planned the entire thing, and Kim knew nothing. 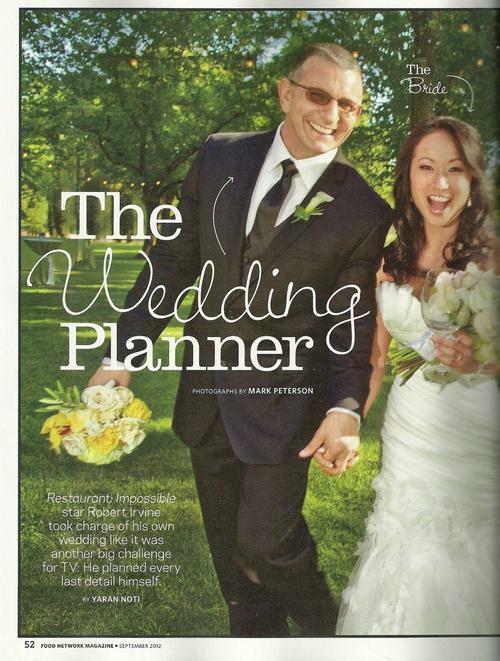 Recently the Wedding between Irvine and Kim was featured in the Food Network Magazine (see left), which is no suprise because Irvine hosts many shows on the network. Notable guests at the wedding were WWE Diva Alicia Fox (also Natalya and Beth Phoenix may have been guests) and TNA Knockout Tara (as well as multiple former Divas). It is being called Wedding Impossible! ← Rosita gets movie role….